Invok­ing spincl results in a full-duplex SPI trans­fer. Options include the the SPI clock fre­quency, SPI Mode, chip select des­ig­na­tion, and chip select polar­ity. Invok­ing spincl requires root priv­i­lege. If no command-line argu­ments are included or if there are any command-line argu­ment errors, a “usage state­ment” will be printed on std­out sim­i­lar to the Usage doc­u­men­ta­tion below. Invok­ing spincl results in a full-duplex SPI trans­fer of a spec­i­fied num­ber of bytes. Addi­tion­ally, it can be used to set the appro­pri­ate GPIO pins to their respec­tive SPI con­fig­u­ra­tions or return them to GPIO input con­fig­u­ra­tion. Options include the SPI clock fre­quency, SPI Mode, chip select des­ig­na­tion, chip select polar­ity and an ini­tial­iza­tion option (spi_begin and spi_end). spincl must be invoked with root priv­i­leges. How­ever, as of ver­sion 1.3.0, although the make install tar­get included in the Make­file installs spincl with a root owner, it also sets the suid bit so that users other than root may invoke spincl with­out a sudo pre­fix. –ix where x is the SPI init option, b[egin] or e[nd]. The begin option must be exe­cuted before any trans­fer can hap­pen. It may option­ally be included with a trans­fer. The end option will return the SPI pins to GPIO inputs. It may also option­ally be included with a transfer. –cx where x is the expo­nent of 2 of the clock divider. Allowed val­ues are 0 through 15. Valid clock divider val­ues are pow­ers of 2. Cor­re­spond­ing fre­quen­cies are spec­i­fied in bcm2835.h. len: The num­ber of bytes to be trans­mit­ted and received (full duplex). xmit bytes: The bytes to be trans­mit­ted if spec­i­fied. If none are spec­i­fied, 0s will be trans­mit­ted, which may be the case when only the received data is relevant. Of course the spincl exe­cutable will work as is. How­ever, if you want to make edits to the source, a Make­file is included to rebuild the exe­cutable. The Make­file assumes that the bcm2835 library has been installed. In other words, bcm2835.h is in /usr/local/include and libbcm2835.a is in /usr/local/lib. To “make” the exe­cutable, type make at the command-line prompt from the spincl direc­tory. Again, the ver­sion of the bcm2835 library that was used to build the exe­cutable included in the down­load is 1.17. You may wish to try build­ing spincl with the most cur­rent ver­sion. An exam­ple “install” tar­get is included in the Make­file, which installs spincl in /opt/bin with root own­er­ship and group with appro­pri­ate priv­i­leges, includ­ing set­ting the suid bit. Edit them as required for your application. to get the expanded source directory. Bug Fix: A bug in the way the num­ber of trasmit bytes was cal­cu­lated was fixed. Pre­vi­ously, if the total byte length of the trans­fer was greater than the num­ber of spec­i­fied xmit bytes then an attempt to access command-line argu­ments beyond the num­ber avail­able would occur, which causes a seg­men­ta­tion fault. iP Solu­tions in no way war­rants or guar­an­tees cor­rect­ness of the down­loaded code or that it’s bug-free. This entry was posted in Control, Educational, Embedded Linux, Embedded Systems, News/Events, Open Source, Portfolio, Products, Raspberry Pi, Software, System Control and Data Acquisition and tagged bcm2835, Broadcom, embedded systems, Linux, Raspberry Pi, SPI by Gary Marks. Bookmark the permalink. Thank you for this use­ful util­ity! Do you have plan to improve this util­ity to run it with­out root privilege? Thank you Bill for your ques­tion. I had not con­sid­ered the option of run­ning the util­ity with­out root priv­i­lege because gen­er­ally an embed­ded appli­ca­tion that needs to access ker­nel resources needs to have root priv­i­lege. In this case, the SPI core on the bcm2835 chip is pro­grammed by it’s reg­is­ters that are mem­ory mapped with very spe­cific hard­ware addresses, which can only be accessed by ker­nel (device dri­ver) code. The dri­ver in this case is /dev/mem. You might be able to cre­ate a “work-around” for this, but it would go against the “Linux priv­i­lege model”. I should also say that most embed­ded appli­ca­tions run as root. That’s not to say that there isn’t a role for user’s with non-root priv­i­lege on embed­ded sys­tems. 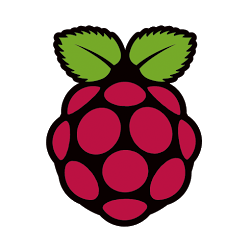 For exam­ple, I have a user (devel­oper) on my pri­mary Rasp­berry Pi devel­op­ment sys­tem that owns all the source code, etc. Also, you might want users with dif­fer­ent lev­els of access to var­i­ous types of data/information, etc. Thank you Gary for explain to me in detail. I’m a new­bie to embed­ded Linux, and doesn’t have much expe­ri­ence to device dri­ver or periph­eral con­trol pro­gram­ming. I could fully under­stand your expla­na­tion. I just feel curi­ous that the util­ity “gpio” com­ing with “wiringPi” doesn’t require me to “sudo” first, and I think maybe this use­ful util­ity could have such fea­ture. Any­way, thank you for your great job! 2. The gpio util­ity sup­ports GPIO exports to /sys/class/gpio. I should point out that using setuid is con­sis­tent with my point about root priv­i­leges. In other words, because spincl is owned by root and the setuid bit trans­fers the owner’s priv­i­leges to the process that is exe­cut­ing spincl, then that user has root priv­i­leges for that process. The sec­ond tech­nique (/sys/class/gpio) is an embed­ded Linux method of trans­fer­ring GPIO resources from ker­nel space to user space. I don’t know if there is any equiv­a­lent for SPI. If you need users other than root to use spincl (I would be cau­tious about this), then your best bet is to set the ‘s’ bit (tech­nique 1 above).